Tri-Art Safflower Oil - Tri-Art's Safflower Oil replaces poppyseed oil in traditional formulations. This oil medium yellows significantly less than linseed oil making it the oil of choice for grinding and mixing with whites and light colours. 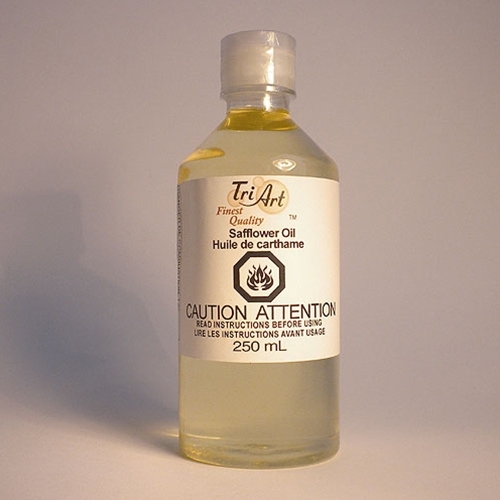 While having similar handling properties in application to linseed oil, Tri-Art's Safflower Oil is much lighter in colour and will dry considerably more slowly.